Crabapple trees flowering in April. The crabapple (Malus species) is a beautiful spring-flowering tree that is valued for its flowers, fruit and variations in growth habit and size. The hardiness depends upon the species, but all should be adapted to all of South Carolina except the coastal region from Charleston south to Savannah, Georgia. There is a wide variety of tree sizes and forms of crabapples. 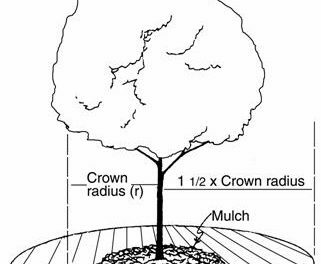 The height and width of the crown or canopy can range from 10 to 25 feet. Most are trees of various forms, but some are mounded and shrubby. The growth rate is slow to moderate (about 8 to 10 inches per year), depending on the species. Malus ‘Donald Wyman’ (crabapple) flowers. The ornamental flowering crabapple is valued mainly for its flowers and fruit. The blooms, which come out before or with the leaves in the spring, range from white to red. Some crabapples bloom heavily only every other year. The fruit, which appear in summer, vary in size, but are less than 2 inches in diameter (fruit larger than 2 inches are considered apples). The color of the fruit may be red, yellow or green. While all crabapples are edible, fruit of many ornamental crabapples are not palatable without first cooking and sweetening the fruit. Some crabapples have outstanding fall color, while others do not – it depends on the cultivar. The unusual branching of most crabapples creates a strong silhouette in winter when the leaves are absent. The crabapple can be used in a home landscape as a specimen or patio tree. Because of its small stature, it is a good selection as a street tree under utility lines. A characteristic of many crabapple cultivars is that the fruit will drop upon ripening. However some cultivars will retain their fruit (persistent) on the tree throughout the winter. Large-fruited types, such as ‘Callaway,’ can create maintenance problems with rotting fruits falling to the ground. 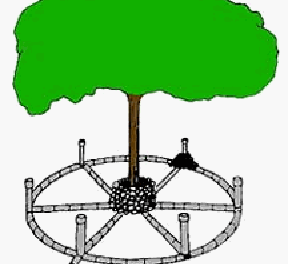 The tree is adapted to most sites, but should be placed in full sun for best flowers and fruit. The soil should be moist, slightly acid (6.0 to 6.5 pH) and well drained. While it requires medium fertility, over-fertilization may make it more susceptible to fire blight. Pruning is recommended for opening the center of the plant to air and light, removing unwanted branches, shaping the tree and removing suckers. Do this in late winter or early spring before bud-break. Crabapples may be susceptible to fire blight, powdery mildew, cedar-apple rust, cedar-hawthorn rust, apple scab, several leaf spots, canker diseases, Japanese beetle and caterpillar foliar feeding, borers, scale and aphids. Resistance to fire blight, powdery mildew, rust and apple scab varies, depending on the cultivar of the tree and where it is grown. During springs with abundant rainfall, fire blight and rust may become significantly worse, and during summers with abundant rainfall, foliar leaf spots may become significantly worse. Cultivars highly susceptible to leaf spot may experience complete defoliation by late summer. It is important to use a cultivar that has been proven to be resistant in the area where the tree is to be planted. Disease resistance means that infections are few, do not progress very far or do not occur. 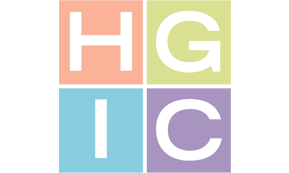 For more information on disease and insect problems on crabapples, refer to HGIC 2000, Apple & Crabapple Diseases; HGIC 2001, Apple and Crabapple Insects; HGIC 2208, Fire Blight of Fruit Trees and IC 119, Insect & Disease Management for Home Grown Fruits & Nuts. Japanese Flowering Crabapple (M. floribunda) – This is an old favorite introduced from Japan in 1862. It is an annual bloomer with red buds that open to white flowers. The fruit is yellow to red. It grows 15 to 25 feet tall. It is slightly susceptible to scab and powdery mildew and moderately susceptible to fire blight. Tea Crabapple (M. hupehensis) – This is one of the most elegant crabapples. It is vase-shaped and grows 20 to 25 feet in height and width. The buds are dark pink, turning to white flowers and small red fruit. It is susceptible to fire blight. Sargent Crabapple (M. sargentii) – This is a mounded, densely branched, shrubby species, growing 6 to10 feet tall. Buds are red, turning to white flowers. The small fruit is red. It has good disease resistance, although it is slightly susceptible to scab, fire blight and leaf spot. Over 800 cultivars are known, with more being developed each year. The following list represents some that are more disease-resistant. ‘Adams’ – This tree grows 20 to 25 feet with a round growth habit and greenish-red foliage. The annual buds are red, the flowers are dull pink, and the fruit is red, persistent and grow to 5/8” in diameter. It has excellent resistance to scab and rust, good resistance to powdery mildew, and good to excellent resistance to fire blight. ‘Adirondack’ – This tree grows 18 feet tall and 10 feet wide. The annual red buds open to white flowers, and the fruits are orange-red and grow to ½” in diameter. It has a strong upright form and a heavy flower display. It has excellent resistance to scab, rust, powdery mildew and fire blight. ‘Centurion’ – This tree grows 25 feet tall and 15 to 20 feet wide. The red buds open to rose-red flowers, the fruit grow to 5/8” in diameter and are glossy cherry-red. It has good resistance to scab, and excellent resistance to rust, powdery mildew and fire blight. ‘Donald Wyman’ – This tree grows to 20 feet tall and wide with a rounded growth habit. The pink buds open to white flowers, and the fruit are bright red, grow to 3/8” in diameter and are persistent. ‘Molten Lava’ – This tree has a weeping form and grows about 15 feet tall and 12 feet wide. The annual deep red buds open to white flowers. The small fruit is red-orange and grow to 3/8” in diameter. It has excellent resistance to rust and scab, and good resistance to fire blight and powdery mildew. ‘Pink Princess’ – This is a naturally dwarf, red leaf tree that grows to 8 feet tall and 12 feet wide with a low spreading form. The flowers are pink, and the small fruit are deep red and reach ¼” in diameter. It has excellent resistance to rust, scab, powdery mildew and fire blight. ‘Prairifire’ – This tree grows 20 feet tall and 20 feet wide with an upright spreading form and reddish-green foliage. The red buds open to dark pinkish-red blooms, and the small fruit is dark red to red-purple, persistent and 3/8 to ½” in diameter. It has excellent resistant to scab, rust and powdery mildew, and good resistance to fire blight. ‘Professor Sprenger’ – This tree grows 20 feet tall and 20 feet wide with an upright spreading form. The pink buds open to white flowers, and the small fruit is orange-red, persistent and grow to ½” in diameter. It has excellent resistance to powdery mildew, rust and scab, and good resistance to fire blight. ‘Profusion’ – This tree grows 15 to 20 feet tall and 20 feet wide with a rounded growth habit. It has deep pink flowers and maroon-red persistent fruit that grow to ½” in diameter. It has excellent resistance to scab and powdery mildew, good resistance to rust, and good to excellent resistance to fire blight. ‘Red Baron’ – This tree grows about 18 feet tall and 10 to 12 feet wide with a narrow, upright growth habit. The deep red buds open to pink flowers, and the fruit is dark red and ½” in diameter. It has fair to good resistance to scab, good to excellent resistance to powdery mildew, good resistance to fire blight, and excellent resistance to rust. ‘Robinson’ – This fast growing tree reaches 25 feet tall and wide with an upright spreading growth habit. The foliage is a reddish, bronze-green. It has crimson buds that form deep pink blooms, and the small fruit are dark red, persistent and 3/8” in diameter. It has excellent resistance to scab, fire blight, rust and powdery mildew. ‘Sugar Tyme’ – This tree grows to 18 feet tall and 15 feet wide with a rounded growth habit. Pale pink buds open to white flowers, and form red fruit that are persistent and ½” in diameter. It has excellent resistance to scab and powdery mildew, and good resistance to fire blight and rust. ‘Tina’ – This is a low-spreading dwarf selection of Sargent crabapple that grows to 5 feet tall and 6 feet wide. The pink buds open to white fragrant flowers, and the ¼” in diameter fruit is red. It has excellent resistance to powdery mildew, rust and scab, and good resistance to fire blight. ‘Velvet Pillar’ – This tree grows to 20 feet tall with an upright spreading growth habit. It has pink flowers that form reddish fruit that reach 3/8” in diameter. It has excellent resistance to rust and powdery mildew, good resistance to scab, and good to excellent resistance to fire blight.